Retirement is so much easier if you have a plan. The sooner you build that financial plan, the sooner your successful retirement can begin. We serve as coordinator of your financial situation. We take the various moving parts (investments, retirement accounts, insurance policies, legal & tax documents, etc.) and combine them into one comprehensive organized plan. During the design and implementation of retirement plans, we maintain an objective stance for all client situations. Doing so allows us to take the emotions out of the decision-making process. Many retirement plans fail due to poor decisions made during emotionally charged situations. 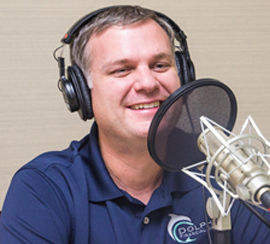 A discussion on the costs of hiring a financial planner including the details on what Dolphin Financial Group charges. This question is one many people often ask themselves. The answer is different for everyone, but there is a way to find out. Retirement can happen when you want it to or when you don't want it to. Which way it happens is up to you. The only way to know when you can retire is to map it out, both emotionally and financially. We specialize in helping people through this process. How much money do I need to retire? How can I afford to retire? Determining the amount of assets you need to retire is something we can accomplish fairly quickly. We have tools and experience making these calculations. The more difficult part is helping clients figure out what their retirement will look like. The amount needed to retire is based on your particular goals and dreams. Do I need a formal written retirement plan? Many people have met with financial advisors only to walk away with a thick binder of documents they never look at again. While a formal retirement binder doesn't hurt, it may not be necessary. We have found that a few key documents which are constantly updated and monitored is all that our clients need to feel comfortable in retirement. What financial steps do I need to take next? Not knowing what the next step is can cause people to stop progressing. We have a systematic financial planning process that is designed to lead to retirement success. Part of our service is not only making sure you know what the next step is, but helping you take that step. Our experience has shown that certain financial issues appear only as people enter retirement. We cover topics such as Medicare, Social Security, Long-term Care, Longevity Plans, Health Care, Estate Planning, and Retirement Income. We help to oversee the implementation of the retirement plans we design and act as a watchful financial coach during retirement. As a fiduciary, we must always do what is in the best interests of our clients. Therefore, we must consider all financial tools and instruments that may be applicable. You can wing it, or you can create a plan. Considering retirement (hopefully) only comes around once per lifetime, it makes sense to work with someone who will help you do it correctly.